Their special design box is so beautiful! Can we just take a moment to admire it. Definitely a keeper in my books to store love letters! Which is this month's theme Sealed with a Kiss! They are taking a moment to reimagine the lost art of love letters. I absolutely love the way GLOSSYBOX takes an extra step to pack their boxes making them extra special. They included lip print tissue paper, a decorated navy ribbon, shredded confetti, and sealed it with their signature logo sticker. They always include a catalogue of the products making easy for you to read more about them along with special discount codes. GLOSSYBOX believes that handwritten letters or postcards are one of the most personal and intimate form of communication they've included a beautiful postcard for you to write on and send it to someone special. This lip treatment keeps your lips smooth and plump. It is a gentle but effective lip scrub, which utilizes natural sugars to banish dryness for good. Ladies if you want soft and pillowy lips then look no further! Nothing worst than having dry, cracked and chapped lips in the month of February. This is a high-shine lip gloss delivers buildable color and a plumping effect it will have you kiss ready in no time! Can we get a "Muah!" This is no ordinary face mask in fact this is a K-beauty 3D sheet mask! It delivers ingredients from the earth like green tea leaf extract, rose hip, and charcoal directly to your pores to clean impurities, minimize moisture loss, and it has anti-aging benefits. Not all brushes are created equally, in fact the brush you use is everything when it comes to applying eyeshadow. You might not be getting the flawless blending and it might not be you but your brush. Behold this little brush achieves precise and well blended colors with the soft synthetic bristles creating a natural effect. This fruits and flowers infused body duo will leave you feeling so refreshed. Featuring fragrant essentials oils including geranium, grapefruit, and lavender. This rich foaming body wash and gentle creamy moisturizer will leave your skin hydrated and a senses invigorated. This month's GLOSSYBOX was full of LOVE, so many goodness packed in the beautiful designed box. The total value of the box was $72 and you are only paying $21. I'm pretty excited about the lip exfoliate, and the 3D face mask! FYI: GlossyBox sends out multiple variations of the box. So, there may be some variation between what I review and what you receive. 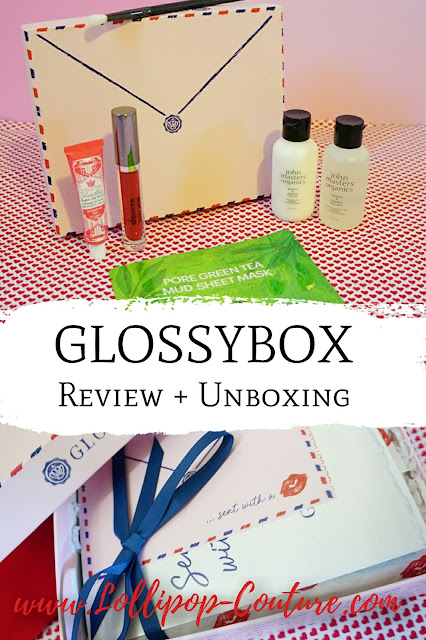 You can still get this month's GLOSSYBOX if you sign up today use coupon code below. Hope this review has been helpful. Let me know what items you received in your GLOSSYBOX and if you liked them in the comments below? First time subscribers use the promo code FREESKINN at checkout to get a free Skinn Cosmetics Smokey Eyeshadow palette worth $32 with your first box! I really like the idea of love letters! They are a bit of a lost art, but they are wonderful. And the products look really great. 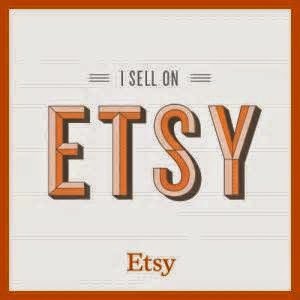 How fun to get such a cute package and have wonderful items in it! oooo this is a pretty one. After being subscribed to multiple boxes last year and having a major overflow of too many products and not enough time to try it all I unloaded and now only get one box a month. Subscription boxes are such a great way to discover beauty products! This month's Glossybox looks awesome! If never heard of this! What a fun way to try out new products. I love the idea of getting a box each month. It's like a little present to yourself. This sounds like a great box. I love these. It’s great to be introduced to new products. Subscription boxes are so fun! Love the adorable look of this box and that lip scrub and green tea mask are perfect for me!